Ever made a paper aeroplane? Did you spend days perfecting each fold before launching it? If you did… credit where credit is due, if not, like me you probably made loads and threw them one after the other to see what works. If you have understood the real problem with an empathetic gathering of data that is user-centric you should have been able to define a meaty problem worth solving. The ideas will have flowed and as a group you identified the ideas worth taking forward. The prototypes are ready and now comes the moment to put your idea and prototype in the hands of the user! The website that is actually slides linked together, the app which is a series of sketches placed behind a phone stencil or the storyboard of the teacher professional development process. Divergent and convergent thinking combine in design thinking. A superb example of this process appeared on British TV in an incredible programme called “The Big Life Fix” broadcast on BBC Two with a special edition going out focussed on solutions for children on Wednesday 8 November 2017. Worth a watch and bring the tissues as the team brings memories back to a girl who suffered brain damage in a car crash. They also develop a tool to aid her memory in the classroom. In the testing you can see the designer craving insights as their product shows its flaws. Refined then developed and tested again it provides a life altering solution to a girl desperate to remember and learn in school. Most significantly, the solutions created for these children provide a solution suitable for thousands if not millions of children around the world. There is a lesson in designing for the extremes and therefore testing your prototypes with the range of users. How might we design for the extremes in order to make all learning accessible? The teachers, learners, carers or community can now poke, pull apart and critique your ideas. When you begin a design thinking process, have the test in mind from the start. Once it is clear who your ideas are aimed at, recruit some of them to be ready to test your designs. Consider how you will observe the test, in some cases the design team being in the room can alter the results. A Google Hangout can provide a great way to watch from afar as the users interact with your prototype. Statistically the sample size for these tests are questionable but you are not writing an academic paper, you are looking to get invaluable insights and feedback to how your product, lesson, idea or process works with the people it is intended for. Once the test is complete the real work starts, planning, designing, creating and delivering the real thing based on the key insights you gained in the test. In a recent summit we offered up a session for attendees to sit and try out some of the tools they saw in the hands-on sessions. Two teachers collaborated on a Google Site to create information about the trip they are taking to The Hague. Others sat in pairs, where one created a Google Classroom and the other was invited as a student. Having learnt about the tools in a session led by an experienced trainer they had developed an understanding of what the tools can do and followed the context provided by the trainer. Now they were testing it in their own context. The pair using Classroom were able to test the assignment and submission process and identify little aspects that might have disrupted their first classroom use of the tool, but thanks to their test these problems were avoided. They were able to test because this was how the session was advertised and explained. It is important to introduce the test in the right way. If the headteacher takes a class in the school for the test, delivers the new content then asks the children what they thought, you may get unreliable feedback. There needs to be a clear understanding that the final decision is not made (genuinely, rather than lip service). I have worked in a number of organisations where the general perception has been that decisions are not actually up for consultation and it is a done deal. The test needs to consider how to suitably capture the feedback you need to develop your ideas successfully. If appropriate it is worth providing a comparison to another tool, product or process. If you are developing learning spaces, conduct a test in the usual learning spaces too. Where you are developing a personalised learning process consider accessing a trial of an existing tool to conduct a test on. If you Ideation produced more than one idea worth pursuing then you can prototype and test both. Then you should discover which is the most viable to take forward. Stop as the idea has no future, you needed to define the problem better. Go back to the ideas because the prototypes doesn't solve the problem. The test feedback was good and the prototype can be developed but it uncovered other challenges. You now have a process to develop ideas! This is also going to uncover the tools you need people to be competent on. 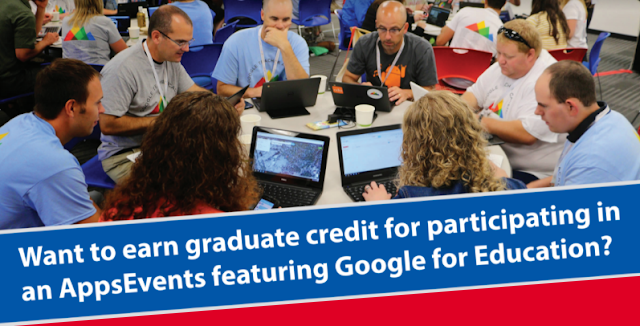 If the process leads you to use Google Classroom for staff training or forms for parental engagement you can focus professional development time on the skills that will matter. We get great feedback from events but after the enthusiasm of the new possibilities many teachers are halted by the reality of school when they return. If you know the problem you are solving, with buy in from the organisation then the tool specific training the staff need is easier to justify, more impactful and you will get better buy-in from staff. I joined AppsEvents to apply this culture, philosophy and toolkit to support schools developing the use of G Suite for education. We have a track record of delivering quality content around the tools so I am excited to continue working with schools to find the challenges in their organisation which leads them to the collaborative tools naturally, and leaves them with a set of skills to address not just technology for learning challenges, but many others challenges that face schools across the world. We would be excited to hear from you if you are applying these principles in your school. We would be delighted to discuss how we might bring these tools and this culture to your organisation around a G Suite deployment. 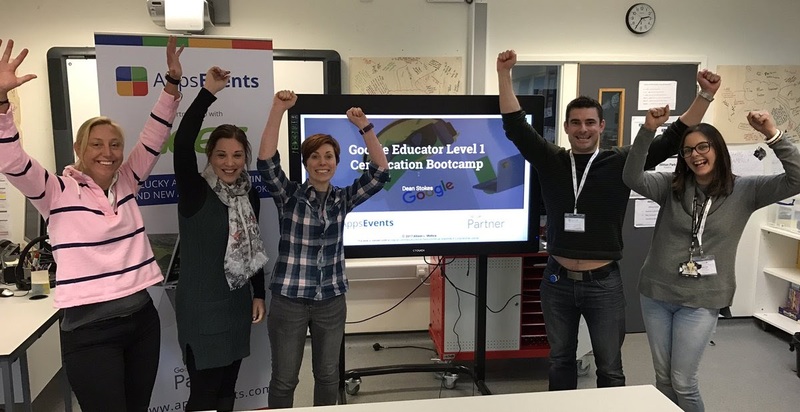 After implementing G Suite at my secondary comprehensive school in UK I was accepted onto the Google Teacher Academy in London in 2013. Since then I have been involved in technology for learning training and implementations in schools in UK and Europe as a Google for Education Innovator and Trainer. I taught Mathematics for 13 years and had middle and senior leadership roles in schools before becoming an educational technology integration specialist for a Mutli-Academy Trust in UK. 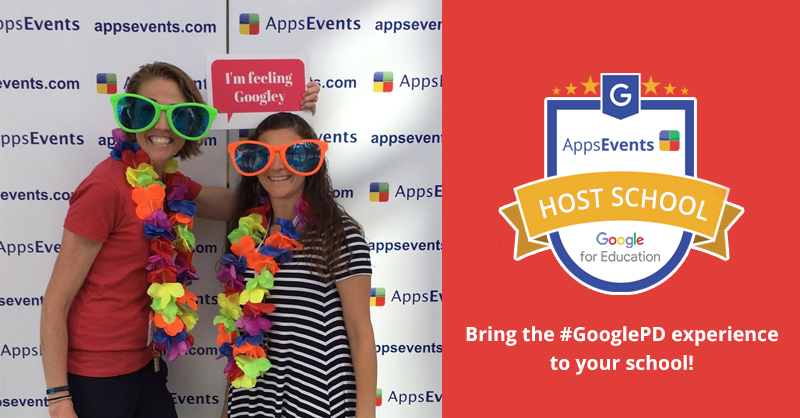 I now work with AppsEvents to help organisations implement G Suite and Technology for Learning effectively.